As Memphis’ hometown business source for office supplies and more, we’ve been able to create ties with many community organizations and make a difference, especially during the holiday season. If you didn’t already know, our president Chris Miller has been a proud supporter (and neighbor) of the Memphis Botanic Garden and became the secretary for the garden’s executive board back in August. Yuletide is proud to sponsor Holiday Wonder at the Garden and Snowy Nights. Here are some details on when you can visit and what’s new this year. Holiday Wonders takes place in the northwest corner of the garden and includes interactive activities, interesting lighting, music, food, beverages, and more. 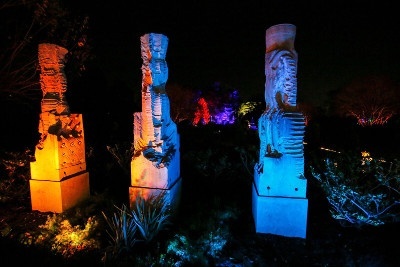 The event runs select evenings now through December 30, with doors opening each night at 5:30 p.m. Click here for more information on how to get your tickets and find out what nights Holiday Wonders at the Garden will be running. The event is rain or shine, unless there is severe weather affecting the Memphis area. On Thursday, December 14, The Botanic Garden will be collecting donations for unwrapped toys, as part of this year’s Toy Truck drive. Your children will be able to meet their favorite super heroes. Tickets are available through Ticketmaster, but they could sell out. We recommend grabbing yours today. Please bring an unwrapped toy with you to family night. Yuletide is a proud sponsor of Snowy Nights. 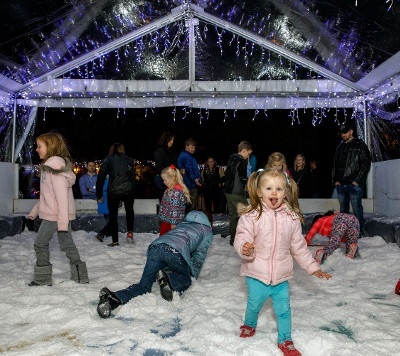 The children’s garden will be transformed into a Winter Wonderland. Play in the “snow” and enjoy hot chocolate and spiced tea. 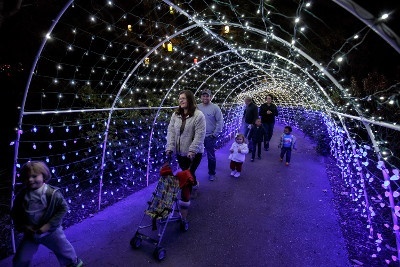 You’ll also be able to gawk over the lights, create a winter crafts, and enjoy fun games and music. The Sculpture Garden has received new pieces on-loan for the Holidays on the outskirts of the Ikea Outdoor Lounge. Also be sure to check out the newest permanent addition, Destino III, in the Conifer Garden. 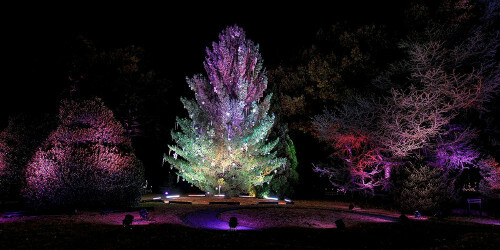 New for this year, Trees Alight features a Conifer garden with trees decked out in LED lights. The centerpiece is the City of Memphis Christmas Tree (pictured above,) an 80-foot tall Contorted White Pine along the Cherry Road fence line. Be sure to checkout the 30-minute LED light show as the entire Conifer Garden is synchronized to holiday music.